Two work colleagues were having a conversation about holidays. “Nobody” said one “goes to Albania for a holiday”. Now I know that it is rather impolite to interrupt, but it was impossible. “I did” I said. For a few moments, I was the recipient of one of those “Are you kidding?” looks. Then they realised I was being serious. Unfortunately – and most of us are guilty at some stage – we often have preconceptions of places, people and many other things. The less we know, the more we may be tempted to imagine. Why, though, should Albania seem such a distant and mysterious country? It is, after all, closer to the UK than Greece. 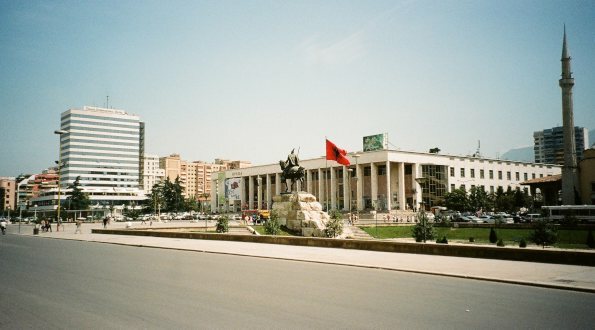 Tirana is both one of the smallest and newest of European capitals. While there has been a settlement at the site for a long time, it has only been the capital since the 1920s. For a traveller, there is novelty value and a smallness of scale that makes the city easy to explore. There is plenty of accommodation for visitors and it is not difficult to find small and cheap hotels that offer good facilities. The Tafaj Hotel is a fine example. It is a rather splendid Ottoman villa with a delightful courtyard and is a short walk from the central Skanderbeg Square. There are numerous guesthouses for the budget traveller as well as the usual suspects at the more expensive end of the market. A three or four day visit is ample. There may be no immediately obvious tourist attractions, but the fact that the city appears to be so little visited adds to its appeal. 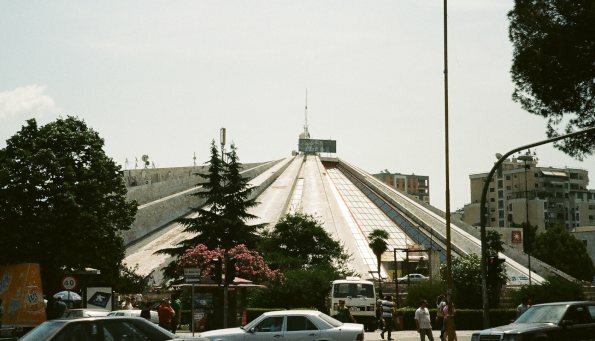 It is also an architecturally unusual place, with some decaying, but still stylish, old Ottoman-style buildings and a substantial number of more modern and decidedly Communist edifices, particularly in the centre near Skanderbeg Square. The style is a mixture of Chinese and Soviet. Albania and the Soviet Union had a decidedly uneasy relationship and the former had much closer ties with China. Not too far away from the square is an even odder sight. The daughter of the dictator Enver Hoxha commissioned an extraordinary (and extraordinarily tasteless) building to serve as a mausoleum and monument to her father. Known as the Pyramid, this abomination now serves as a cultural centre. There is an ongoing debate about the future of the building and it is possible that it may be pulled down. One lingering hint of the days of dictatorship is that the visitor must be a little careful when taking photographs. The villa of Hoxha is in a central street that appears, at first glance, perfectly normal, filled as it is with shops and cafes. It soon becomes obvious, though, that the area is patrolled by rather sinister-looking men in black clothing, who give the distinct impression that any attempt to take photographs could have uncomfortable consequences. The railway station, despite being very small and having the appearance of being little bigger than that of a small market town, is another place to avoid waving a camera around. Otherwise, though, taking photos seems to be perfectly acceptable. The National Art Gallery (on Skanderbeg Square) is a genuine treat. A highlight is the collection of Socialist Realist art, much of it in the style of Communist propaganda posters, all handsome, smiling and muscular working men and women. The gallery also features the art that failed the test by displaying people who simply did not look happy or optimistic. The unfortunate artists responsible were promptly flung into prison for the purposes of re-education. Also on the square – one can hardly miss it – is the vast National History Museum with its truly weird mosaic on the façade. The museum is well laid out and offers a comprehensive traipse through Albania’s history, from ancient archaeological finds to the modern post-Communist era. Both the art gallery and museum charge small admission fees, though there are other, smaller museums that offer free entry. Nothing is radically expensive in Tirana; indeed, much is very cheap. Traditional Albanian food tends to be quite a meaty affair, but for vegetarians, there are plenty of pizzas and salads (try one with some Albanian olives, as these are excellent). Despite being a largely Muslim country, it’s easy enough to buy a drink and there is, in fact, a local brewery that produces the imaginatively-titled Tirana Beer, a Pilsener-style lager that is refreshing on a hot summer’s day and can be reasonably safely quaffed as it is a sensible 4.0% ABV. The city is small enough to walk around without needing to resort to public transport, and even when it’s hot (and summer is very hot) there are lots of places to stop for an iced tea. There’s no harm in buying a coffee on a hot day as you always get a glass of iced water to go with it. The best coffee is at the Opera House on Skanderbeg Square and it’s also a great place to sit and watch what’s going on. Everything revolves around Skanderbeg Square and after a day or two, the visitor will be familiar with every inch of it. 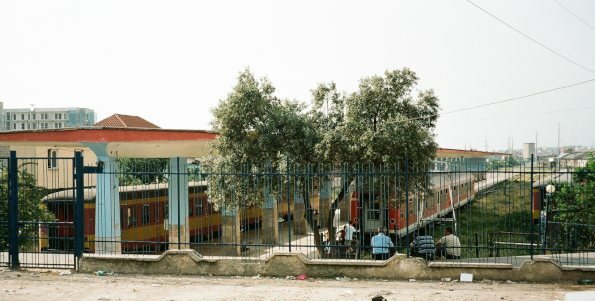 This is also the place to catch the bus to the airport (where the largest of Tirana’s many Mother Teresa statues stands). The bus service is efficient and a great deal cheaper than a taxi, a couple of pounds covering the cost of a ticket. Tirana has some pleasant green spaces, the largest being the Grand Park. This has some lovely, shaded walks and there is a sizeable artificial lake, though sadly this seems to be entirely devoid of birdlife. Those who need to shop are well catered for, with some surprisingly trendy malls and streets as well as old-fashioned markets. Among the latter is a fish market, though disappointingly nobody has taken the opportunity to use the name Tirana Fish. Albania has a Mediterranean coastline and for those with an adventurous spirit and strong leg muscles, mountains and spectacular countryside. Tirana is well worth seeing, however, with its curious mix of the old, the new and the downright weird. You won’t be trampled in the rush. This entry was tagged Albania, Tirana. Bookmark the permalink.